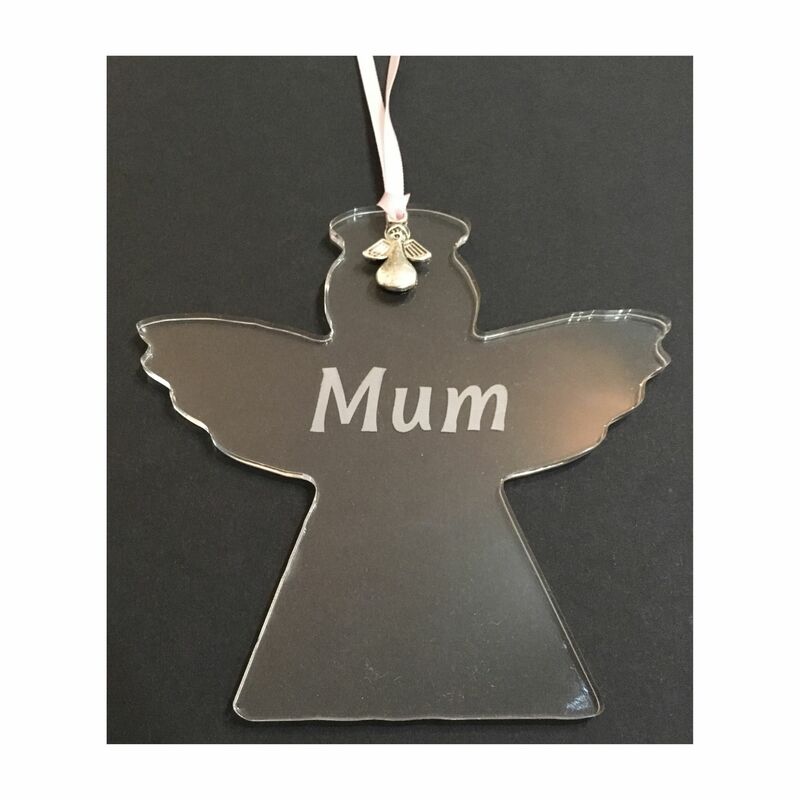 We hope you will love our Acrylic family Angels, beautifully made on our laser machine, and hand finished with a cute silver angel charm, and satin ribbon to hang. 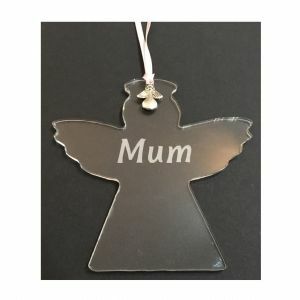 The acrylic is lightweight but strong making it perfect to hang anywhere in the home. Size 9cm at tallest / widest point.